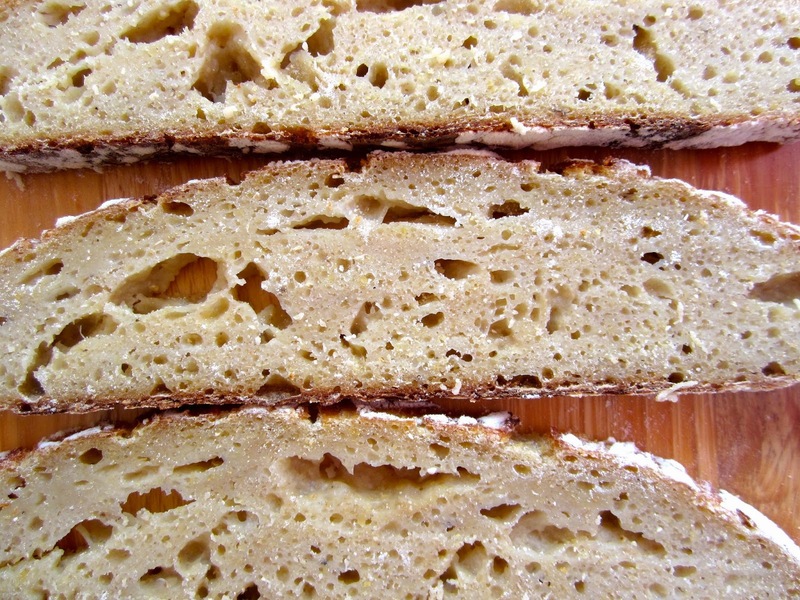 Levain made from applesauce gone bad! 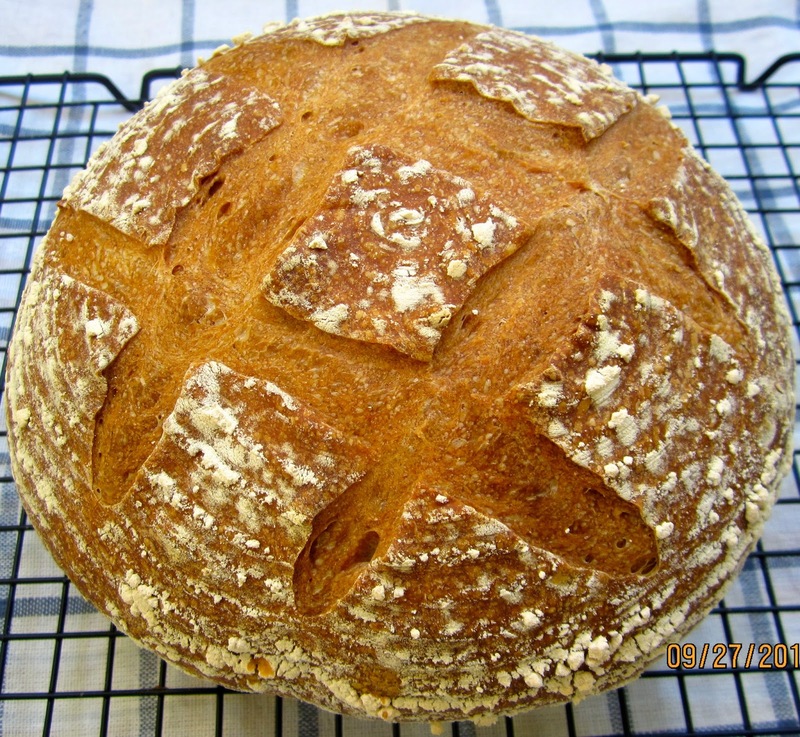 The day arrives for every serious hobby bread baker when he or she – no longer satisfied with being limited to store-bought yeast – craves for the star among starters – the homemade sourdough! The usual pathway to your own starter is stirring some flour into water, hoping that, over time, this mixture will attract wild yeasts and lactid acid bacteria to devour and digest the free all-you-can-eat menu. These microorganisms are either clinging to the grains or parachute down from the air. Three years ago I accidentally hit on a shortcut to get faster to a viable sourdough. A glass of my homemade rose hip jam, waiting to be labeled, had sat too long in my warm kitchen, and gone bad. I was about ready to throw the jam in the trash when the tiny bubbles on the surface triggered my curiosity to do a a little experiment. What would happen when I mixed a spoonful of the tipsy jam together with a bit of flour and water? 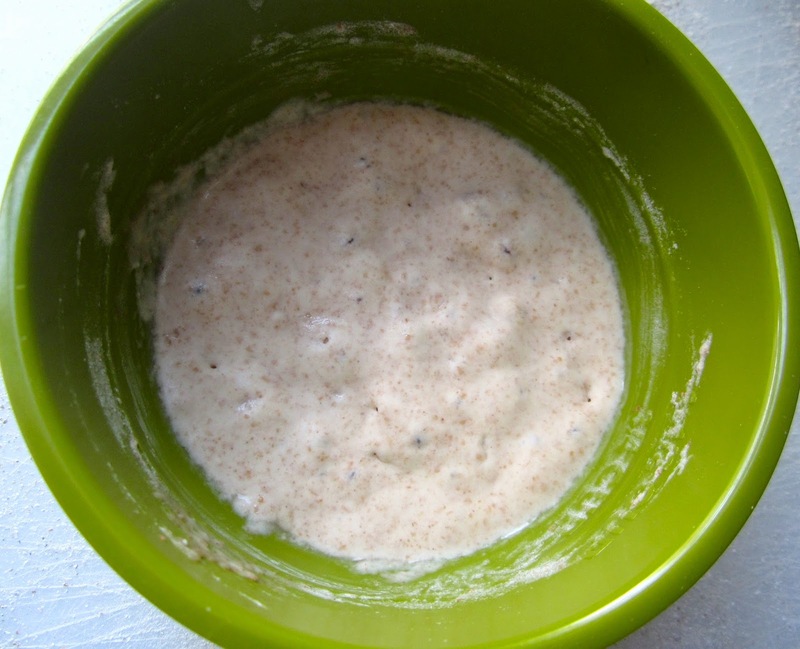 To my delight, eleven hours later I had a lively, bubbly starter that provided the mother for the Pain au Levain à la Jan Hedh I made the next day. 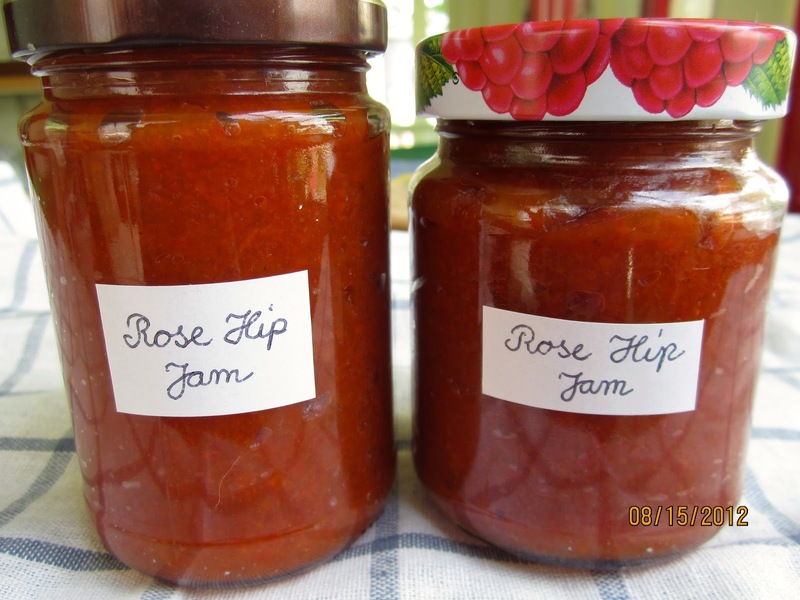 Rose Hip Levain – with a starter made from turned jam! Last month, rummaging in our fridge, I found a glass of applesauce that we had opened a while ago, and then completely forgotten. When I removed the lid, a strong (but not unpleasant) alcoholic smell reminded me of my earlier jam experiment. I was just planning to bake one of the loaves in my Bread Basket for Götz von Berlichingen, and chose Khalid’s loaf, made with pureed raisins. It seemed to be a perfect match for a fruit-based starter. 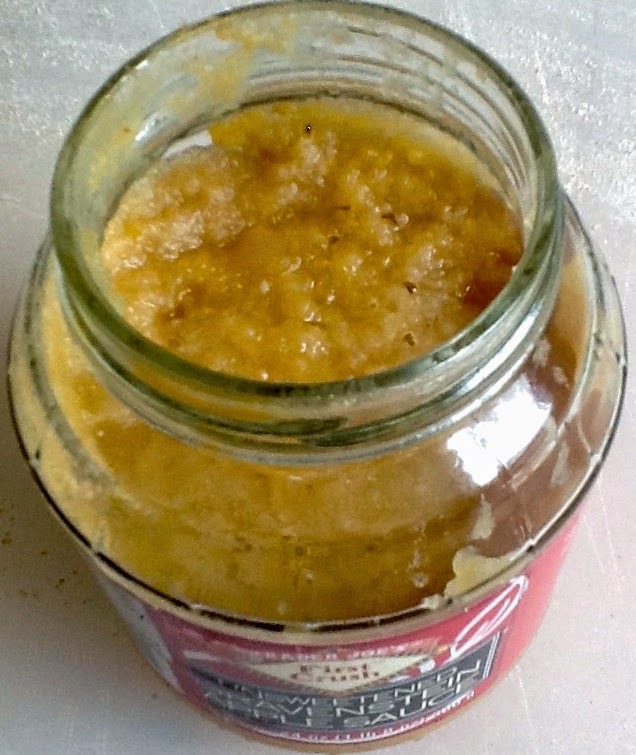 After two feedings (at 12 hours intervals), my new, active apple sauce starter was born! I took 25 grams, and, just as if it were my regular sourdough from the fridge, mixed it with the water and flours the recipe required. Then I left it alone overnight. My trust in the power of drunken apples was not misplaced – anybody who doubts it, clearly never snacked on the seemingly innocent fruits from a punch bowl! The next morning I found a nicely puffed, lively starter – ready for action! 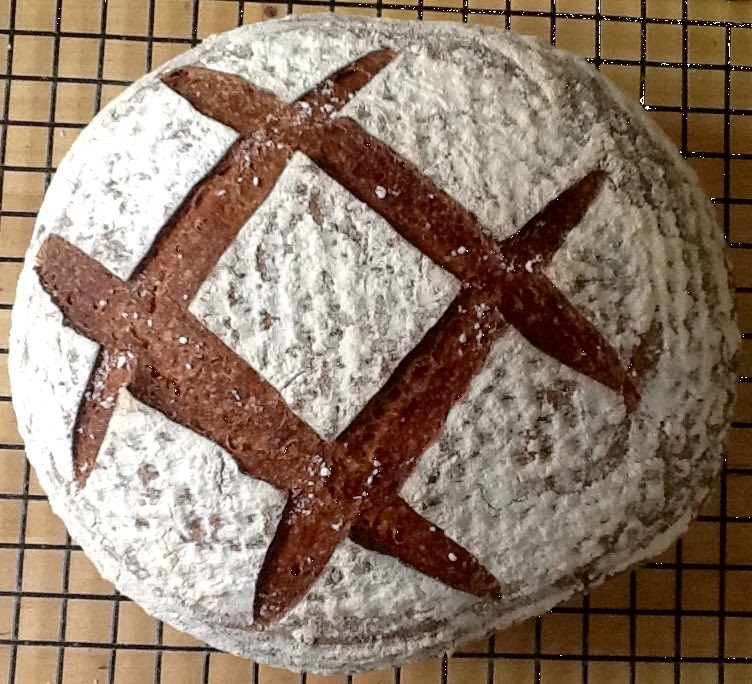 Khalid’s loaf, made with wheat, rye and spelt, rose just as it should. With a nice oven spring, it bore witness to the magic of the applesauce levain. It also had an excellent taste, and I will definitely bake it again (here is my take on it). Of course, not everybody has a glass of fermented jam at hand. Tidy housewives (and their husbands) use their stock of applesauce, before it can start breaking bad. But there are other possibilities – for neat freaks and people who, unlike us, don’t stuff their fridge with so many baking ingredients and condiments that they get out of control. 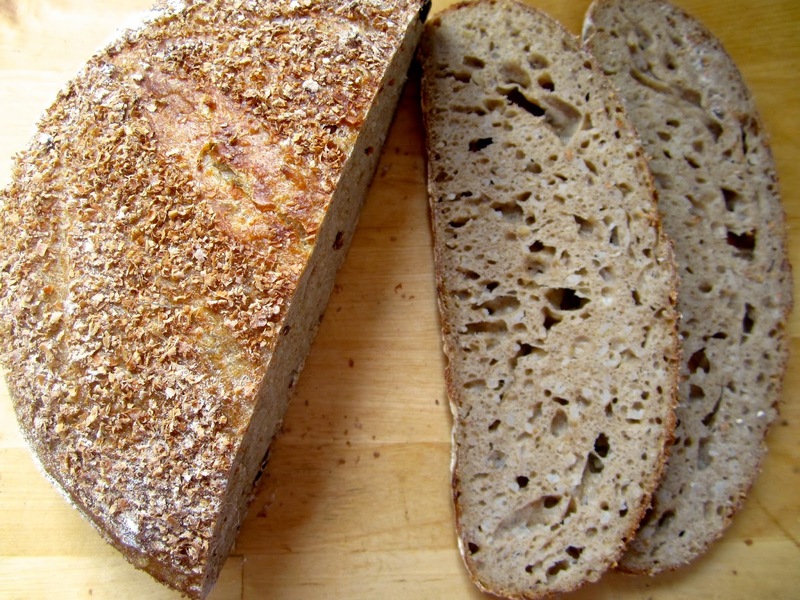 Joanna’s (Zeb Bakes) Kefir-Rimacinata-Bread inspired me to a new experiment. Her starter contains homemade milk kefir. 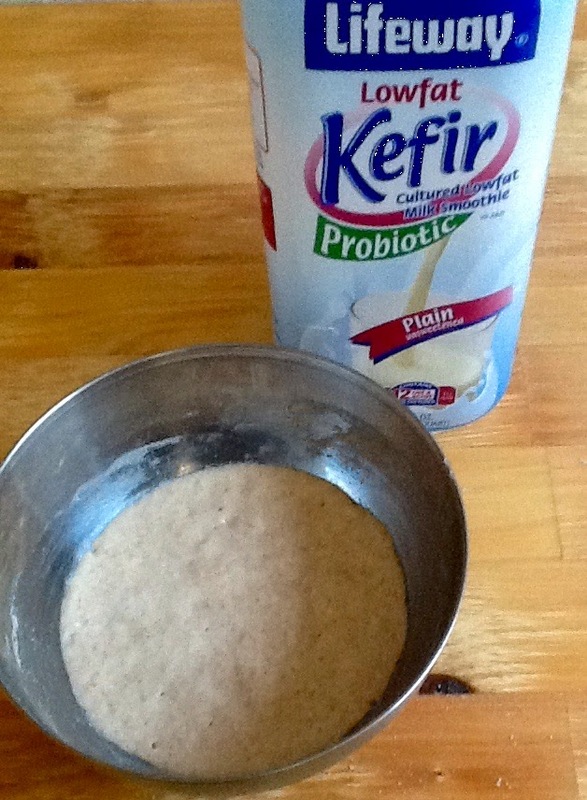 Would the active cultures of plain supermarket kefir be willing to do the heavy lifting in my kitchen, too? My first trial, using kefir straight from the fridge, like Joanna, started out promising. The bread rose nicely, but, before even reaching it full potential, it ended with a total collapse, when I turned it out of on the baking sheet. The structure of the dough was obviously too fragile, and not even the boost from oven heat was able to revive the pitiful flounder. But now my ambition was tickled, and the second time around I proceeded like I did with the fruit-based levains. I mixed a teaspoon of kefir with the double amount of flour (half whole wheat, half bread flour) and left it in a warm spot in the kitchen. A few hours later little bubbles on the surface indicated its appreciation for this treatment, and I continued feeding it over the next two days, every 24 hours. 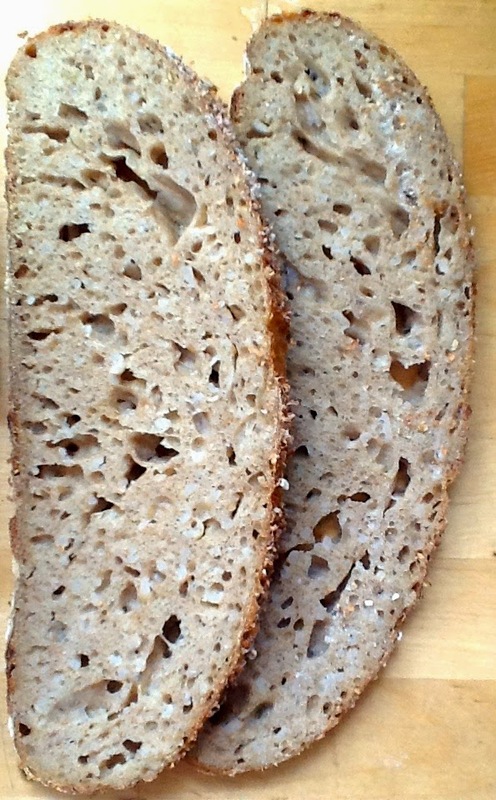 On the third day I subjected my kefir starter to a new test – with a “pinched, not kneaded” loaf à la Ken Forkish. The result already looked much better, even though the crumb was still rather dense in some areas. The Overnight Cornmeal Bread didn’t taste bad, either. Over the next days, from feeding to feeding – every 24 hours – my kefir-levain rose and fell exactly as Chad Robertson (Tartine) asks for his starter. A loaf à la Tartine, considered by many the Hol(e)y Grail of bread baking, was destined be the ultimate stress test for my young sourdough. The juvenile starter performed like a real pro, providing a leavening strength and great taste that my normal sourdough couldn’t have done any better! Update: Even after feeding (and baking with) the kefir starter for 6 month, it still has a very pleasant, mild, milky smell, not acidic like my other starters. G'day You breads look delicious and I can almost smell them from here! Love the idea of using Kefir as a starter. I was going to use it in place of the liquid in a bread but your idea seems much better. Great post. Thanks, Ian, it was Joanna of Zeb Bakes who gave me the idea. The kefir starter is now alive and well in my fridge.